PTS’ Data Center IT Disaster Recovery Assessment Services provide an analysis and assessment of client data centers, computer rooms, and mission critical facilities and their ability to withstand disasters from the perspective of IT network and systems performance. These services uncover risks and recommend improvements across the enterprise IT network. The goal of these services are to provide client management with initial observations of the enterprise IT network and systems, to identify risk areas for improvement, and to provide high level recommendations to eliminate the risks and avoid unplanned business operation downtime. When coupled with PTS’ Facility Disaster Recovery Assessment Services, PTS is able to provide comprehensive assessments of both the facility supporting infrastructure and IT network and system infrastructure to fully comprehend the cost impact to a business to establish a disaster-proof enterprise IT solution. Unlike other IT consulting and solutions vendors, PTS provides a comprehensive view into the facility infrastructure which supports IT uptime. Together, PTS provides IT and Facility Disaster Recovery Assessment Services work to support organizational Business Continuity & Disaster Recovery Plans. 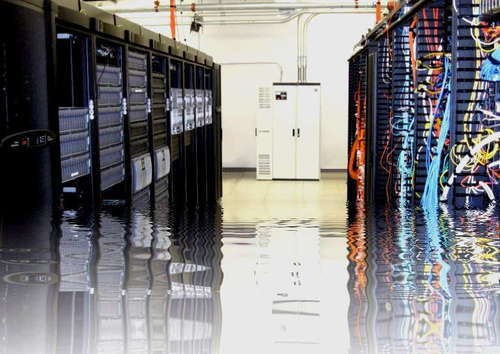 PTS’ Data Center IT Disaster Recovery Assessment Services represent the first, second, and third phases in the eleven (11) step progression of the data center project process. Typically, PTS’ Needs and Survey Services are a prerequisite in delivering our IT Assessment Services. Additionally, there is a third measure. This is the Maximum Tolerable Outage (MTO). The MTO is the maximum time the business will survive from the initial service interruption. The recovery objectives must be based upon solid business requirements identified by the business impact analysis (BIA) process.